Space-ranger Buzz Lightyear, of Toy Story fame, became part of the National Air and Space Museum’s popular culture collection today. Launched May 31, 2008, aboard the space shuttle Discovery with mission STS-124 and returned on Discovery 15 months later with STS-128, the 12-inch action figure is the longest-serving toy in space. 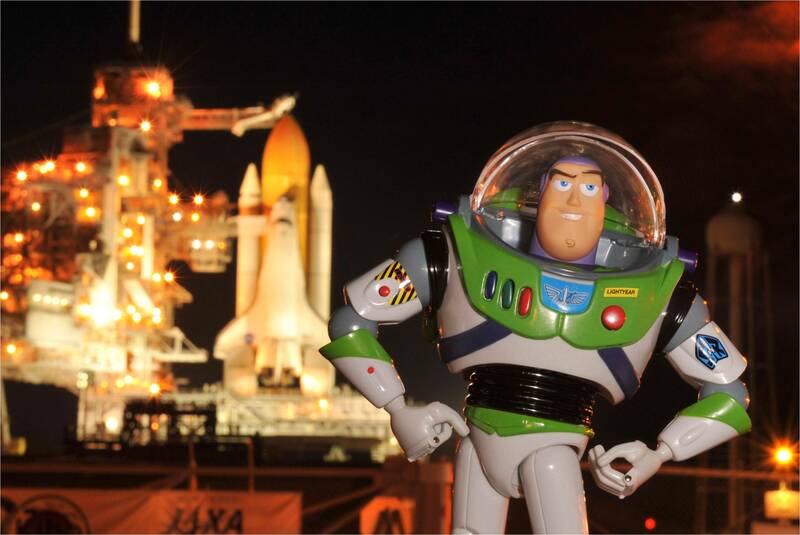 Disney Parks partnered with NASA to send Buzz Lightyear to the International Space Station and create interactive games, educational worksheets and special messages encouraging students to pursue careers in science, technology, engineering and mathematics (STEM). The action figure will go on display in the museum’s "Moving Beyond Earth" gallery in the summer. "We are pleased to welcome Buzz Lightyear into the National Collection; very soon space shuttle Discovery—his ride to space—will join him," said Gen. J.R. "Jack" Dailey, director of the museum. "We feel that Buzz Lightyear’s popularity with young people will make him an important addition to our educational mission and a valuable asset in achieving STEM educational goals." "It is truly one of the biggest thrills of my career to have one of Pixar"s most beloved characters, Buzz Lightyear, travel in space and now travel in time as part of the Smithsonian collection where he will inspire future generations of explorers, engineers and scientists to infinity and beyond," said John Lasseter, chief creative officer at Pixar Animation Studios. The action figure was lightened and sealed by NASA for spaceflight safety and weight concerns, flew to the International Space Station and returned in September 2009. It was used by the astronauts of ISS Expeditions 18, 19 and 20 to perform educational demonstrations—and, occasionally, to have a little fun on the side. To conclude his space career, the flown Buzz Lightyear toy is now being donated to the National Air and Space Museum by a Disney cast member who worked on the agreement with NASA, along with copies of the videos and educational material created for this mission by Disney Pixar, for use in the "Moving Beyond Earth" exhibit. Lasseter, the creator of the popular Toy Story space character, represented the Disney Pixar team that sent Buzz Lightyear into space—for real.